Finding a moisturiser that works for my particularly fussy skin is a bit of an ordeal. Well, ordeal is a bit of an exaggeration but let's just say it's a bit tricky. 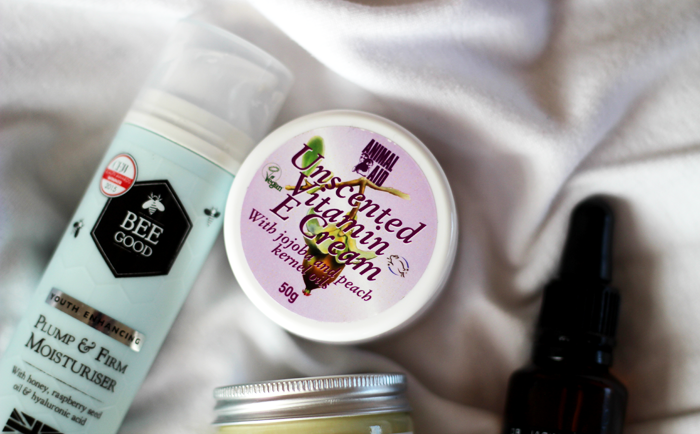 It took me years to find my previous favourite which is unfortunately not cruelty free, so last year I commenced my search for something a little more animal friendly. For reference I have dry, sensitive skin that is easily irritated and prone to break outs. If this were hydrating enough for my skin it would probably be 'the one'. Sadly it hasn't been enough to keep dryness at bay throughout the winter months, but I'm going to keep hold of it and give it another try during the summer. It sinks in to my skin and doesn't leave any oily residue making it a perfect daytime moisturiser for underneath make up. It contains British honey for hydration, raspberry seed oil rich in hydration boosting essential fatty acids, and hyaluronic acid to help with moisture retention. Perhaps if I find a good serum to use underneath it may work for me a little better. This is a beautifully rich night time moisturiser. A little goes such a long way that I imagine this 60ml jar will last for a very long time. Unfortunately I have the opposite problem with this to the one I have with the Bee Good, it's just a little too heavy and my skin gets a little congested. Packed full of lovely ingredients; comfrey oil to keep skin supple, evening primrose oil, frankincense to help reduce fine lines and active vitamin B3 to help support cell renewal, I had hoped this would solve my skin problems. I might try their day time moisturiser next and keep my fingers crossed that it will be 'the one'. This is a nourishing elixir comprised entirely of natural ingredients to replenish important nutrients and give the skin a youthful radiance. A blend of oleic acid, linoleic acid, baobab oil helps to improve skin tone. 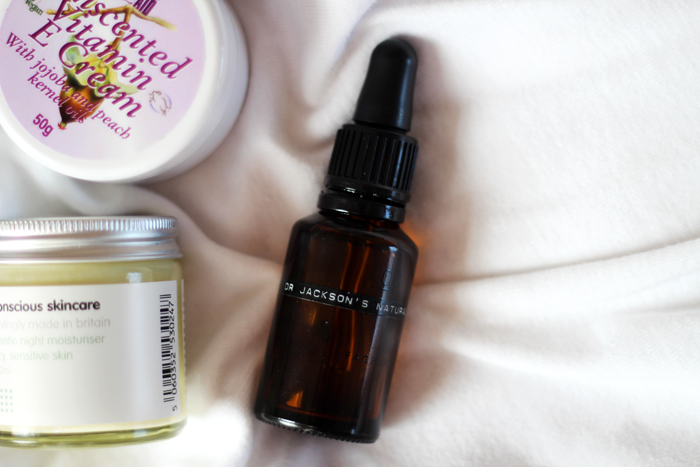 Rich marula oil provides hydration and calendula helps to reduce redness. A couple of drops goes such a long way and it feels very luxurious. 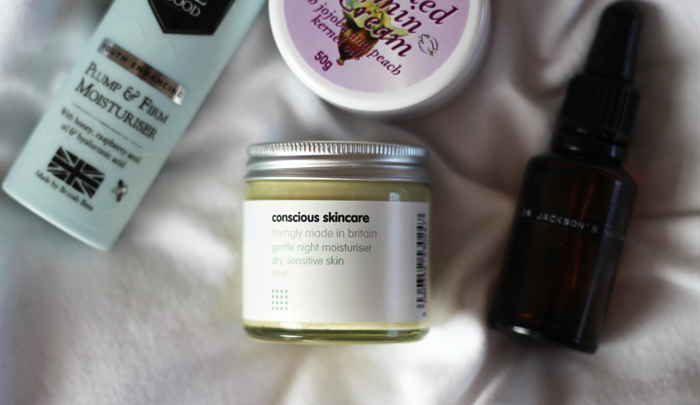 Similarly to the Conscious Skincare moisturiser though if I use it often my skin begins to get a little congested, which is a shame because I would dearly love to incorporate it into my daily routine. This vitamin E cream is enriched with jojoba and peach kernel oils to boost hydration and protect the skin from environmental factors. This is the moisturiser I'm currently using and it's a bit of a strange one because I was expecting it to be like other vitamin E creams I've used before, a little greasy. But it's not at all. It takes a little bit of working into the skin but once it has been absorbed it leaves my skin feeling quite matte but still moisturised. It's one I'm certainly going to keep trying for a little while longer, but so far I quite like it. 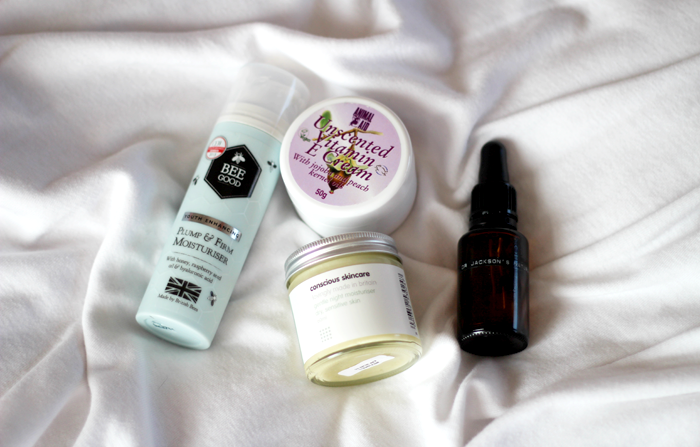 What is your current favourite moisturiser? If you have any recommendations I'd love to hear them! 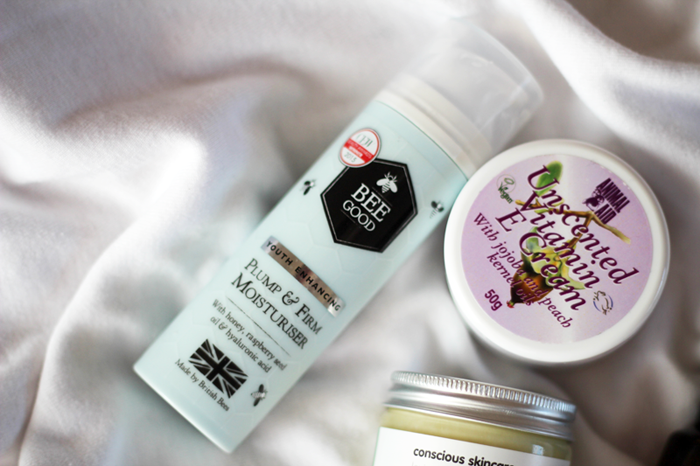 I have been working on purchasing natural and cruelty free products as I use up my old ones, especially because my skin reacts poorly to products with perfumes and addatives, but I seem to be having the same issue you are! I am using Glossier's Priming Moisturizer right now and it is great, but just not quite hydrating enough. I have been mixing a couple drops of an oil in with it, though, and that seems to be working pretty well. I've been hearing a lot about Glossier, I'm eagerly waiting for them to start shipping to the UK! It can be tricky to find the perfect one!